Craig Williams' dreams of winning a third Caulfield Cup moved a step closer to reality on Wednesday when it was confirmed that he'd secured the prized ride aboard current favourite Kings Will Dream. The arrangement with trainer Darren Weir and the import's managing owner Brad Spicer will see the reigning Melbourne premiership winner - who won the Cup on Dunaden (2012) and Southern Speed (2011) - ride Kings Will Dream in $5 million feature, as well as his final lead-up run in the Group 1 Turnbull Stakes (2000m). John Allen is expected to partner Kings Will Dream in all other lead-up runs, including Saturday's first-up assignment in the Group 2 P.B. Lawrence Stakes (1400m). "Brad (Spicer) was very keen to get a rider locked away and obviously when they've got the light weight it can be tricky so I think it came down to Dean Yendall and Craig (Williams)," Weir said. "The syndicate decided to go with Craig but if something happens to Craig or he gets suspended around that time, Dean will be there to take his place." 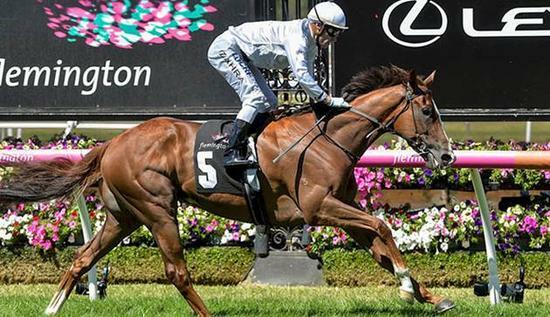 Kings Will Dream, who secured ballot exemption for the Caulfield Cup with a dominant win in the Mornington Cup, is one of six Weir-trained runners set to line up in the star-studded Lawrence Stakes. While Weir has been pleased with the five-year-old's work to date since returning to his Warrnambool stable this campaign, he isn't expecting the galloper to maintain his unbeaten record in Australia after Saturday's Group 2 feature. "He's going really well and the crew here (Warrnambool) have done a really good job at getting him going because he hasn't been easy," he said. "This time in he seems to be a bit more mature in the brain and physically he's probably put on 40 or 50 kilograms. "I'm looking forward to seeing him run on Saturday to see where he fits in because this will be his toughest test to date, first run at weight-for-age against some really good horses. "Where he finishes doesn't worry us, it's how he finishes the race off is the most important thing and we just want him running through the line strong."